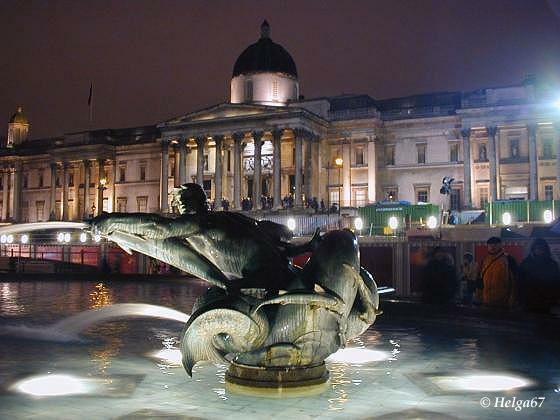 The National Gallery in London is home to one of the greatest collections of western European painting in the world. More than 2300 paintings embrace the years between 1250 and 1900. The entire collection is on display in four wings on the main floor where they are arranged by period: 1250-1500, 1500-1600, 1600-1700, and 1700-1900. In addition paintings are displayed on a lower floor. To help the visitor manage the large number of paintings and galleries, various trails and audio guides are provided. One section of the Gallery called Puzzling Pictures contains pictures with some aspect of history or unusual subject that raises questions. Pictures can give clues to the culture and decorative arts of the time as well as to the inventions of the period. This is an interesting approach to the pictures that is recognized in the Gallery. 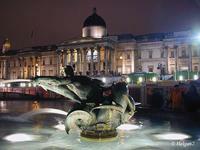 The National Gallery was born in 1824 when the House of Commons bought a collection of 38 paintings from a banker, John Julius Angerstein, who then opened his home for viewing the collection. What is the National Gallery? When was the National Gallery born?